The Canon 14mm f/2.8L II lens features 114º filed of view, a variety of Aspherical and Super UD elements removing chromatic aberrations and spherical distortions. The Canon EF 24mm f/1.4 L II Lens features an ultra-fast aperture, improved aberration reduction, and a wide angle field of view with less distortion. The Canon EF 35mm f/1.4 L Lens features a super fast aperture enabling superb low light capabilities, Super Spectra Coating to ensure colour balance and contrast are fully optimised, and and Ultra Sonic Autofocus motor for super fast super quiet focusing. The Canon 50mm f/1.2 L Lens features an ultra fast wide aperture for the lowest low light situations, razor thin depth of field, and Canon's Ultrasonic focusing system. The Canon 85mm f/1.2 L II Lens features incredible low light performance, stunning aesthetics produced by the ultra-wide aperture and Canon's USM focus system. The Canon 100mm f/2.8 Macro has been replaced with the Canon 100mm f/2.8L IS Macro lens. Our 6 lens Canon prime kit covers a comprehensive range of shooting scenarios with a practical range of prime lenses from 14mm through to 100mm. L series quality ensures this kit will provide you with the highest image quality. Our Canon 6 Prime lens kit provides you with a wide range of focal lengths ideal for any kind of production, from stills to video. 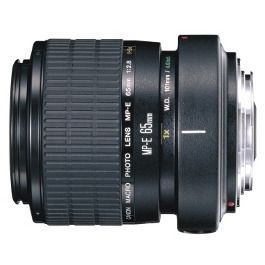 Included are the 14mm f/2.8L, 24mm f/1.4L 35mm f/1.4L, 50mm f/1.2L, 85mm f/1.2L and 135mm f/2L lenses. This wide range of focal lengths provides you with a fundamental range covering anything from ultra wide angle through to moderate telephoto. As some of the finest lenses in the Canon EF range, expect only the best quality from this kit. Covering an astonishing 114º field of view, the Canon 14mm f/2.8L II hire lens goes beyond human perspective. Ideal for shooting in enclosed areas, distorting perceptions of size and distance or shooting dramatic landscape, this lens is an excellent creative tool for a variety of photographers and videographers alike. The Canon 24mm f/1.4L II is one of Canon’s newest L series primes, available for rental at Camera Hire. This lens incorporates the latest advancements in Canon optical technology to deliver impressive sharpness and spectacular performance across a wide range of settings and shooting environments. The optical assembly features two large diameter aspherical lenses for sharpness across the entire frame, even in the corners on a full-frame body. Furthermore, two UD elements combined with a newly designed SWC ( Sub Wavelength Coating ) act to greatly reduce aberrations and flare. The Canon 24mm f/1.4 features a rear focusing, ultrasonic motor, with full-time manual override simply achieved by moving the focus ring at anytime. 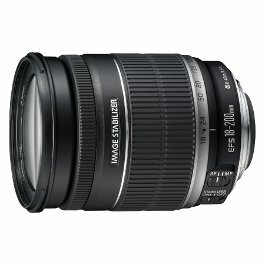 For Canon users looking to hire an ultra fast, wide angle prime, this lens is an outstanding choice. The winning combination of superb optical quality at a wide focal length will help you attain stunning images. 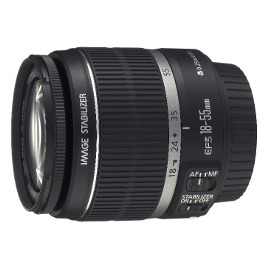 The Canon 35mm f/1.4L is a high performance, fast aperture prime lens available for rental at Camera Hire. Sitting somewhere in between a more significant wide angle effect and the somewhat portrait orientated look of the 50mm prime lenses, the 35mm focal length provides an excellent in-between. Being especially suited to environmental portraiture and documentary style work, the 35mm f/1.4L lens is a staple of the photojournalist. Optically, the Canon 35mm 1.4 is a high performer, with Super Spectra coatings to optimise colour balance and contrast, while an Aspherical element ensures distortion is kept to a minimum. The 35mm’s ultrasonic motor ( USM ) ensures focusing is extremely quick, yet quiet in any situation. Instant manual override is available by simply moving the focus ring. 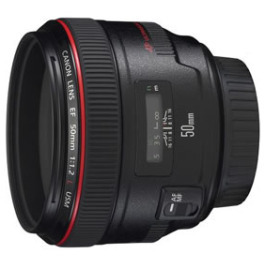 The Canon 50mm f/1.2L is a ultra high speed prime lens available for rental at Camera Hire. Incorporating Canon’s highest levels of precision in optical design, this lens is a unique creation. A maximium aperture of f/1.2, allows for shooting to occur in the lowest of lighting conditions, without needing to resort to shooting with a flash, or unwanted use of high ISO settings. The Canon 50mm f/1.2L offers a razor thin depth of field, providing fine control over subject isolation. Circular aperture blades help ensure that out of focus areas are rendered smoothly, a particularly relevant trait for this lens. The Canon 50mm f1.2L features a ring-type USM (ultrasonic motor , which uses vibrations at an ultrasonic frequency to drive autofocus at an incredibly rapid speed, while maintaining silent operation. Full time manual focusing override is available, allowing delicate focus adjustments if necessary. A stunning performer, the 50 f/1.2 can be relied upon to produce remarkable images, with a rather unique aesthetic when shot wide open. The Canon 85mm f/1.2L Mark II hire lens is a high speed lens delivering incredible optical performance into the lowest of lighting. As Canon’s flagship 85mm prime, this lens provides a simply stunning aesthetic, considered by many to be rather unique to this particular lens. Of particular note is the superb rendition of out of focus areas and highlights, giving photographers and videographers alike the ability to isolate subject matter amongst a scene in a remarkable fashion. Buttery is a word often used in conjunction with the bokeh of this lens. Rent this incredible lens from Camera Hire today.. The Canon 100mm f/2.8L Macro USM is a medium telephoto lens, available for rental at Camera Hire. This L series lens is primarily designed to be used for macro photography, with a 1:1 magnification function, however it also doubles as a superb general purpose lens. 100mm is an excellent focal length for shooting excellent close-up macro images. Additionally, the Canon 100mm f/2.8L lens is an excellent choice for moderate telephoto portraiture, with quick autofocusing, excellent subject isolation and delightful bokeh characteristics. A ring type USM ( Ultrasonic motor ) focusing system is used, with instant manual override for delicate adjustments. The 100mm macro is compatible with all EF mount camera systems. This lens is the L series upgrade to the earlier 100 f/2.8 Macro lens, providing even greater sharpness, contrast and colour rendition. The addition of IS (Image Stabilizer) to this lens greatly enhances it’s versatility, especially in situations such as macro photography where reduction of camera shake is critical to attaining super sharp imagery. Super Spectra coatings help to ensure colour reproduction is accurate, and minimise high contrast front lit subjects from causing ghosting and flare. 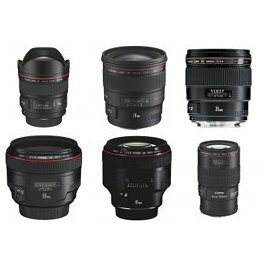 This rounds out the versatile 6 lens Canon Prime kit, where you have all practical focal lengths from ultra-wide through to short telephoto available for those who are looking for the ultimate in image quality.